Ignorance is defined as a lack of knowledge or training. A lack of awareness or a commonly held belief that is later found to be in error can also be perceived as ignorance. The ancient belief that the world was flat was based on an ignorance of scientific facts or observation. When tobacco was first used, people were largely ignorant of the harmful side effects of it. A negative attitude about another race is an example of ignorance. Believing a rumor can be ignorant, like the rumor in the 1960s that Paul McCartney was dead and replaced with someone who looked like him. A person who fabricates a hoax relies upon people's ignorance, like the recent hoax in Asia. The story goes that a person would call on your cell phone and if you answered, you would die immediately. If a pregnant woman thinks that because she broke her nose and it was crooked, her child may have a crooked nose, then that shows her ignorance of genetics. Old wives tales talk about ways to tell if the baby is a boy or girl, like if you crave sweets or carry your baby low, it is a girl and if you crave meat and cheese and carry high and in front, it's a boy. Believing these theories is ignorant as they have no scientific basis. At one time, some people thought that if you ate Chinese food, you would begin to look like Chinese people. This was an example of an ignorant belief. Another example of ignorance is the belief that if you get wet and cold, you will get a cold. Viruses cause colds, not having wet hair or feet and being cold. Before the mid-1800s, society was ignorant of germs, so there were many unsanitary practices, like operating on multiple people without sterilizing the instruments. Some people believe that when one person dies, a baby is born. This goes against the fact of population increase and can be seen as an ignorant belief. Superstitions are often believed because of ignorance, like believing that breaking a mirror brings seven years of bad luck. Believing certain things are lucky can be ignorant, like carrying a rabbit's foot or hanging a horseshoe over a doorway. 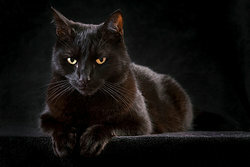 Fears can also be unwarranted and based on ignorance, such as a fear of Fridays, especially Friday the 13th, or black cats. Many people believe that the Pilgrims wore only black and white and had buckles on their hats, shoes and clothing. This is not true and is believed because of ignorance. They usually wore black and white only on Sundays and buckles were not worn at that time. Some Americans mistakenly believe that Mexico's Independence Day is May 5th. That is the day they were victorious over the French in 1862. This mistaken belief is caused by ignorance of the actual date. In a bullfight, the color red does not make a bull mad, because he is essentially colorblind, but rather the flapping of the cape makes him aggressive. The belief that red makes a bull mad is an example of ignorance. Another example of ignorance is thinking that eating an hour before swimming causes cramps. Thomas Edison did not invent the light bulb, although many are ignorant of that fact. He did invent a practical and longer lasting light bulb. So, now you see some examples of ignorance. Ignorance can be resolved through learning more and opening your mind to new information. "Examples of Ignorance." YourDictionary, n.d. Web. 23 April 2019. <https://examples.yourdictionary.com/examples-of-ignorance.html>.